before the sun sets and Shabbat begins. with a Nazi flag hanging on the building in the background across the street. That menorah is in the display case for all to see. 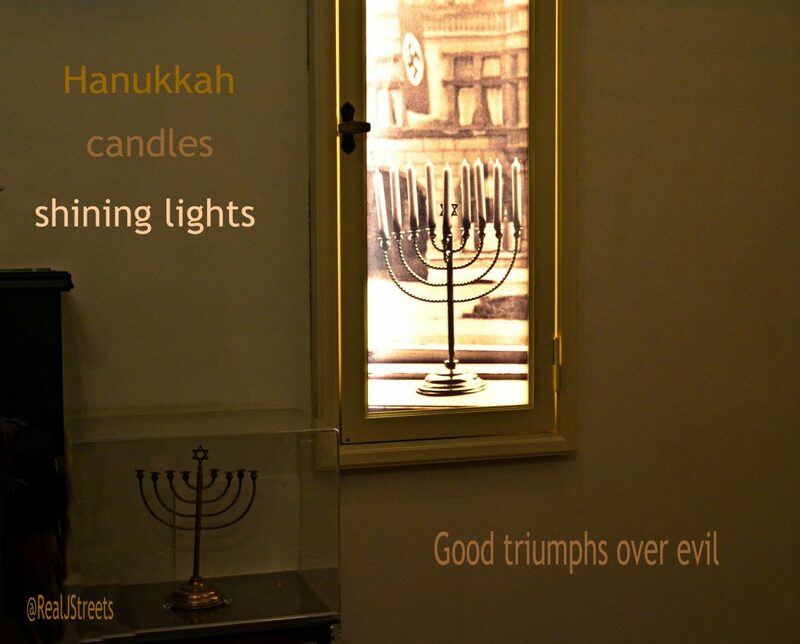 and its candles shine brightly throughout the nights of Hanukkah. in Jerusalem, Israel, at a friend’s wedding. good has triumphed over evil.